I had the honor of meeting Chris Benoit briefly in early 2006. I hear some of you already: "You shook the hand of a murderer!" He wasn't a murderer in 2006. Far from it - he was one of the most popular wrestlers in the WWE and the wrestling community had gathered around him to support him, as this was only a couple of months after Eddie Guererro died of heart issues from a life of abusing alcohol, painkillers and steroids. Eddie, despite being clean for a few years, had a body that just couldn't keep up. We all remember the Eddie tribute show. Benoit sobbed through the entire show, it seemed - he'd lost a brother, someone who kept him propped up when things were getting tougher in the latter part of a storied 20+ year career; the two of them had traveled similar roads, from Mexico to Japan, through the "Big Three" during the Monday Night Wars, and finally getting their due in WWE in 2004 in what should still be one of the biggest feel-good moments in wrestling. That blustery day in January I had driven from Columbus to Chicago to meet this man, a technical wrestler nonpareil, who brought technical wrestling into the spotlight with the aid of other top technical wrestlers like Kurt Angle and Brock Lesnar(this was long before he became "Eat, sleep, suplex, get paid way too much, repeat"). Benoit's feuding with Kurt Angle leading them to being Tag Team champions on Smackdown was just as organic and fun as Team Hell No or perhaps Matt Hardy and MVP in between. Benoit had captured the hearts and imaginations of fans, surprising them with decent mic work and backing up every word in the ring. The man who won the 2004 Royal Rumble and used the championship loophole to jump to Raw (Look up "Uncle Paul's" "SCREW Chris Benoit" promo on SD around that time) and at times looked like a third wheel in the long-running battles between HHH and HBK. At the time, no one thought that Benoit had a shot in hell of winning the title in this Triple-Threat match at WMXX, but the sheer satisfaction of seeing him make HHH tap out brought unbelievable joy and celebration in Madison Square Garden. I know a few people who were there, and they told me about strangers hugging each other, people with tears in their eyes, not a one among the 20,000 or so that were there that magical night. Again I hear, "You're glorifying a murderer". Actually, the Network can show you this in all its glory if you care to watch. I remember the line at this meet and greet - it wrapped all around the showroom and out the door. Hundreds had come to this session to meet the legendary "Canadian Crippler", and cheered his arrival and showered him with "Eddie!" chants. Benoit looked over the entire crowd, tamped his chest with a fist and teared up once more, the pain of the loss still very real to him and just as real to those assembled. Despite the line, Chris was very patient and tended to all who attended, signing anything and everything and taking pictures with fans. When I walked up, I had my copy of "Unscripted" and a couple of photos for him to sign - one photo being of Benoit having HHH in a sharpshooter at a house show. (Turns out the house show was rehearsal of major spots used in the HHH/Benoit Iron Man match in Pittsburgh). I shook the man's paw - this was not a normal hand, this was a thick, leathery paw with the gentle humbleness that comes in a wrestler handshake. In my mind, I thought I HAD shaken hands with a wolverine... and lived. Not foreshadowing here - I'm still "fan" enough that meeting certain wrestlers should be celebrated with "I lived! ", such as Kane, Undertaker, Brock Lesnar, and most recent, Samoa Joe. 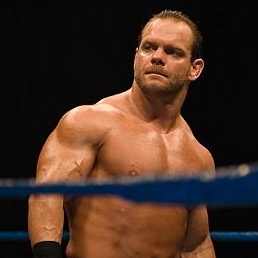 I remember at Vengeance 2007 (I wasn't there), the announcers commenting that Benoit couldn't make it to the show. In my mind, I thought that it had to be a HUGE emergency for him to miss a show - one where he would have won the WWECW title and become the standardbearer for the revived league as a certified "ECW Original" and one that could still really "go". Like many that night, I was a little disappointed that Johnny Nitro replaced Benoit against CM Punk, but they gave us a good match. I really didn't think too much more about it and expected Chris to either show up on Monday, or if said emergency was family related, he take a week off to get things sorted out. Now we come to THAT Monday. I didn't WANT to believe it - a lot of people like me didn't want to believe it either. Many there suggested it might be a work because we were only a couple of weeks removed from the Limo Explosion that supposedly killed Vince. I thought that suggestion was in bad taste, but this WAS Vince we were talking about. Hearing that his wife and son were dead too was unsettling. But it all came crashing down for me when the show started and the tribute graphic came up. I admit that I cried. But I didn't turn off the TV; I wanted to hear testimonials from guys who had worked with him over the years to share memories. At least that's how the show kinda started. The tone changed when Regal was interviewed. To a point, it didn't bother me immediately because Regal is an atheist and doesn't strike me as someone who would discuss or dwell on a wrestler's death. Turns out his guarded words came from a more informed mind, as the gory details were coming out. Vince actually apologized for what he had done with this show and promised to "Strike Benoit from the record". I think this is when the polarizing really began with the fanbase. Many happily said "Good riddance" and went on with whatever wrestling was up to from there. I wasn't so sure; looking at other sports, criminals like OJ Simpson, Ty Cobb, Kobe Bryant, etc weren't stricken from history; in fact, OJ and Cobb were put in their respective sports' Hall of Fame, and Kobe will likely join them. The statement of "striking Benoit from the record" was probably good PR but I was hoping that to some extent that it wouldn't be followed through to the extent that it was. At that time, WWE 24/7 was getting off the ground, and I was appalled when they had the guts to put Michael Cole on screen to say that some of the Benoit footage was "Destroyed". That's not "striking someone from the record" - that's erasing history. What Benoit did in the ring still happened, and while not EVERYONE wanted to see it, there were some of us who did. The censuring continued with altered commentary on the "Satan's prison" DVD. Lots of awkward silences as any positive commentary about Benoit was omitted. News of this reached my wallet and I refused to purchase that set, the SD 10th anniversary DVDs and a magazine that said it would have "EVERY WRESTLEMANIA MATCH!!" but the WM20 main event was not discussed. At all. Nothing. Am I making a big deal out of this? I think I'm just trying to preserve history here - yes, WWE retcons a lot of things, but retconning Benoit out of existence is akin to playing God. If we are using this as an example, does that mean we can erase genocidal dictators and serial killers from history, too? We don't want anyone to see BAD stuff, right? It would be the same thing. I've argued with people who thought that if Vince had the technology, he SHOULD digitally replace Benoit with someone else. Think about that for a moment - if WWE had that power, they would find a way to replace Jimmy "SuperFly" Snuka footage, Hulk Hogan footage (during the Gawker scandal and his racial conversation), Brock Lesnar (for bailing on them in 04) and a few others for lesser crimes than capital murder and suicide. Lost in the "ZOMG Murderer!" and "ZOMG Steroids" is the fact that this was a man who had lost several friends, including his closest, in the span of two years. He was being demoted down the roster (a US title reign, then his schedule changing again once he was placed on ECW), marital strife at home, and a host of other things that Benoit kept bottled up inside since it wasn't "okay" to seek attention for mental issues in a macho business. Remember, he trained in Japan where you worked hard and you worked hurt or you'd be seen as weak. He wrestled for two months with a broken neck, hiding it so he wouldn't lose his "spot" in WWE. He didn't take time off unless he absolutely HAD to, and all of this was going to blow up in his face - and blow up it did, in the worst way possible, damaging his and WWE's reputation in short order, then taking his own life likely in Japanese tradition than American desperation. We'll never know for sure. Things have slowly turned back to "normal" (as normal as it gets in this business) when I purchased the first of the WWE Encyclopedias. In there, a respectful rundown of Benoit's career is written in there, with a pic of him staring at you, leaving you to decide if you want to read about it or not. I bought the later Encyclopedias because he was included. When the WWE Network was being discussed, I made it clear to many people that if they were going to censor Benoit for ANY reason I would not subscribe. I actually asked a couple of people if they would be comfortable pulling up Benoit matches, particularly WM20 to see if anything had been altered. When I was told it was not, I signed up, then decided I'd look at another match - Backlash 2004, where Benoit made HBK tap out to the Sharpshooter in Canada. When it originally happened, I called it the "Apology to Montreal" since Bret Hart couldn't wrestle anymore, and seeing it uncut and intact felt like an apology to me, and to the fans who will still watch him. So for all you "ZOMG he's a dirty damn murderer who killed his wife and child! You shouldn't write so much about him!" This tragedy has helped open more minds to the dangers of multiple concussions and the long-term effects on the brain. "...an ESPN Crew showed up at [Dr.] Omalu's Pittsburgh condo for a story on Omalu and Christopher Nowinski - the odd couple suddenly giving the NFL fits. As they waited for Nowinski to arrive, [ESPN] producer Arty Berko chatted up Omalu. "I bet you would love to be involved in the Benoit case," Berko said. Omalu smiled. "Can you keep a secret?" he said. He led Berko to his hall closet. Tucked in the corner, beneath the winter coats and the umbrellas, was a large pail. It looked to Berko like a five-gallon paint bucket you'd pick up at Home Depot. A towel was draped over the bucket. Omalu pulled it back to reveal a large piece of Chris Benoit's brain floating in a shallow bath of formalin. Omalu explained to Berko that he and Nowinski had driven to Atlanta days earlier to pick up the brain. Omalu planned to cut it up and study it once it hardened." There you go, for everyone that has turned their backs on Benoit. His brain was hacked to pieces and tossed into a paint bucket and hidden in a closet. But because of that, awareness of concussion effects and mental health has risen. We lost three lives and altered a lot of peoples' thinking about wrestling, concussions, and the mental state of these performers. Unlike the NFL, the WWE has done more to minimize concussion incidents and scrutinizes wrestlers who have had several. This protocol likely saved Corey Graves' life, might be the reason Enzo has been downplayed as an in-ring performer (that horrible bump he took in a Vaudevillains match on PPV), perhaps puts a question mark over Dolph Ziggler (who suffered a grade 2 concussion a few years ago and doesn't remember a day or two after it happened), ended Daniel Bryan's in-ring career(for now?) and might have even been the reason Christian stepped down. Keep me in your memory, Leave out all the rest. Leave out all the rest." -Linkin Park, "Leave out all the rest"